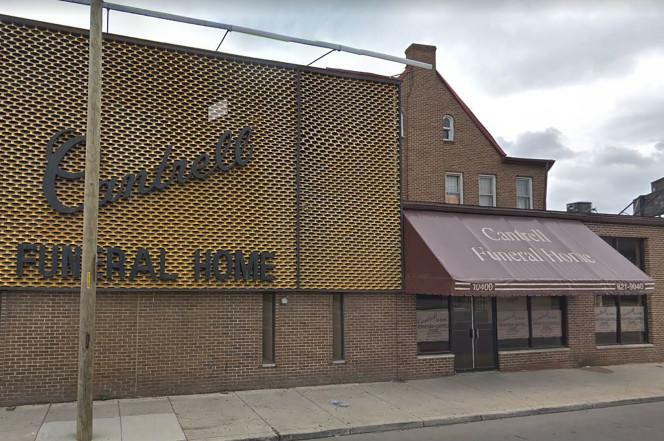 An anonymous letter from a concerned citizen to state regulators led to the shocking and horrific discovery of the bodies of 11 babies found in the ceiling of a shuttered Detroit funeral home on Friday. The bodies of the babies were found in a compartment in the ceiling at the Cantrell Funeral Home on Mack Avenue. The letter tipped off officials on the exact location of the remains, found above a first-floor ceiling of the building. Nine of the babies’ bodies were found in a cardboard box while the remaining two were discovered in caskets. The funeral home has been closed for almost six months already, as there have been issues with workplace violations as well, aside from an ongoing state investigation. A press statement released by the Michigan Department of Licensing and Regulatory Affairs also say that inspectors cited decomposing remains that were covered in what “appeared to be mold” stored in an unrefrigerated garage. A cadaver dog was also sent to inspect the two-storey building but did not find any other bodies. The management of the funeral home also failed to renew its prepaid funeral and cemetery sales registration. The department then decided to suspend the establishment’s license. The remains were transferred to the Wayne County Medical Examiner. Detroit police Lt. Brian Bowser said that they were working with the medical examiner’s office to identify the bodies and eventually notify the family members. An old family friend was a mortician. He was approached several occasions with people wanting to dispose of bodies. I have a feeling that this may be the case here. Such news saddens my soul. I am glad however that these poor babies may now be laid to rest properly. I pray this will bring some peace & justice as well to all those involved.